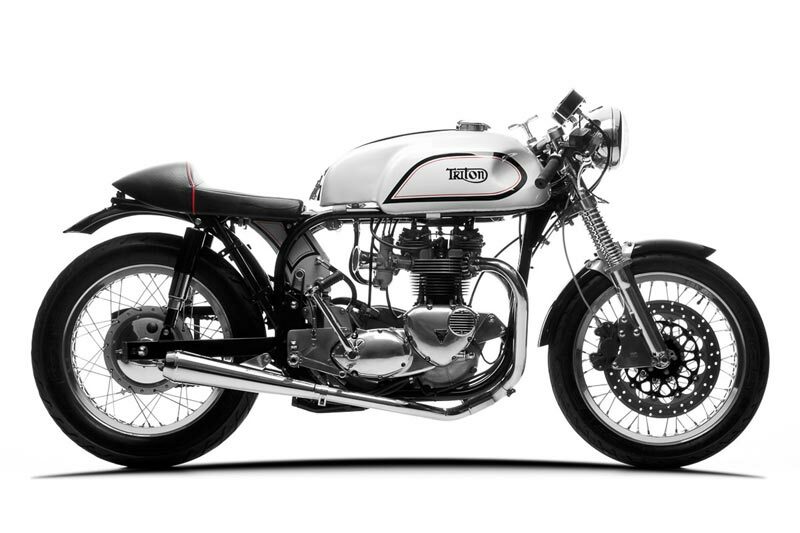 A Brief History of the Café Racer. 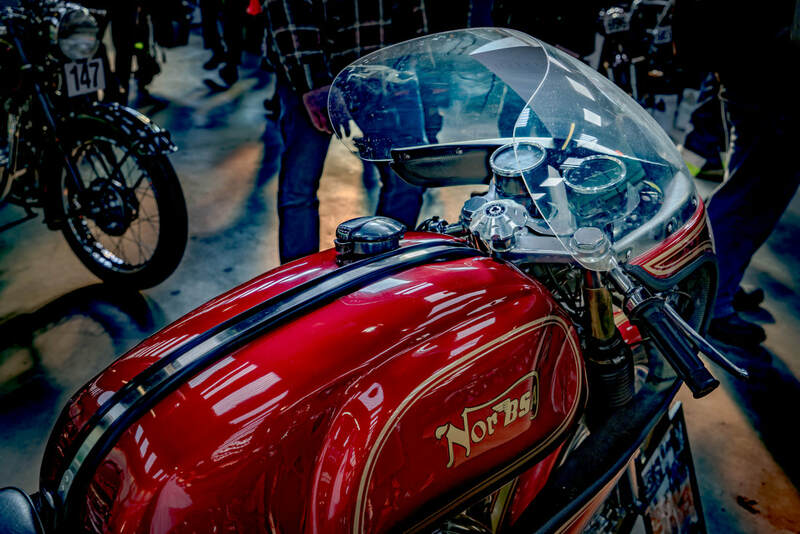 The term cafe racer dates from a time when Britain's young motorcyclists gathered at transport cafes and coffee bars. Following a late-1950s sales boom, second-hand motorcycles were plentiful and inexpensive in the early 1960s, when riders could teach themselves to ride on a 250cc machine at 16 and go straight on to bigger bikes as soon as they passed a single on-road test. Naturally there was an element of competition among youthful riders. Mass rides or 'burn-ups' would almost inevitably turn into races, whether friendly or more serious but mostly illegal, while there were also bike owners who were simply determined to have the most glamorous and coveted bike at the local cafe. Either way, the customising of machines focused on achieving better performance and roadholding, which meant converting the standard product designed for comfort and convenience into something resembling a road racer. Cumbersome and weighty steel mudguarding was binned, air filters removed and unrestricted exhaust systems giving better cornering clearance were fitted. Alloy parts were polished and non-standard paint colours applied. Low handlebars such as ace bars or clip-ons, fitted in conjunction with rear-set footrests, made for a racing posture that was suitable for 'doing a ton' and considered very cool at the time. More conservative and mature motorcyclists looked down on the tearaways and called them cafe racers. Although the expression was probably intended to be contemptuous, it was embraced by those it was aimed at and used to describe bikes customised in the road racing style. It even generated a new verb; modified bikes were said to be 'caffed'. A lucky rider could shortcut much of the conversion process by finding a BSA Gold Star Clubman. Made in small numbers it was a road-legal single-cylinder racer of 350cc and 500cc with a top speed to match the more plentiful bigger twins. After specialist Gold Star dealer Eddie Dow started selling after-market parts to further improve the Goldie's performance and looks, a booming trade in 'goodies' sprang up. Other leading suppliers were Paul Dunstall, catering initially for Norton twins, Chuck Customising, John Tickle and Ian Kennedy to name a few. Large shapely fuel tanks, often in moulded glass-fibre, could be bought off the peg, as could light alloy engine plates, central oil tanks, racing seats and a host of other tasty components that gave 'the look'. 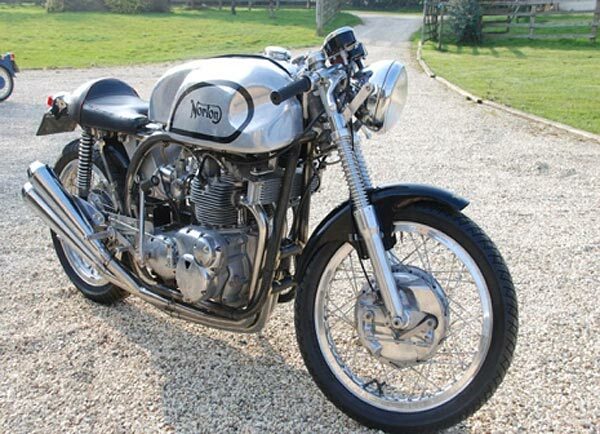 The role model machine, as well as the Gold Star, was the Norton Manx racer, so thoughtfully designed for speed that its sleek looks were captivating. 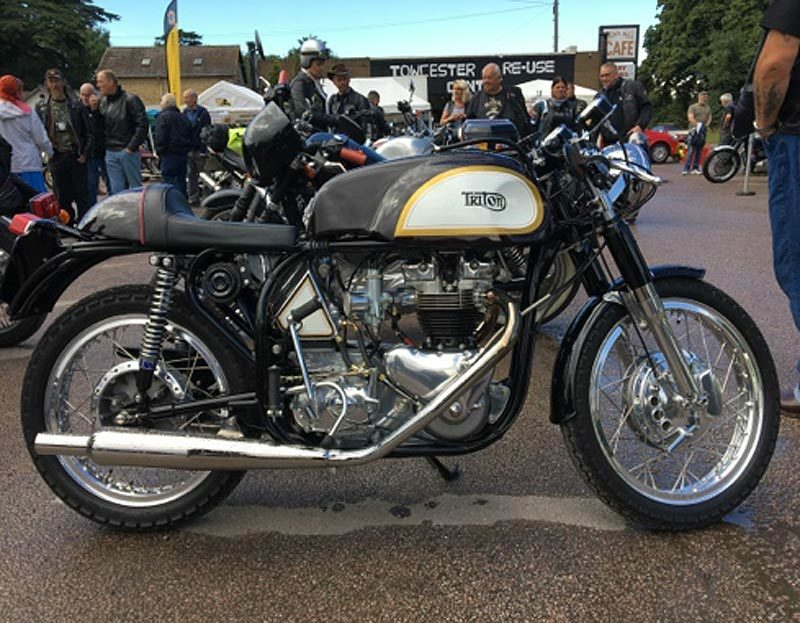 While Norton's Featherbed frame was best for roadholding, the Triumph engine was easier to tune and spares were cheaper which gave rise to the Triton, a special blending both makes. Dave Degens of Dresda Autos offered bespoke Tritons and this effective hybrid became one of the most coveted cafe racers of the late 1960s, only surpassed by the Norvin created by placing the potent Vincent V-twin engine of the 1950s in a Featherbed. The cafe racer movement influenced manufacturers, who styled machines - especially learner mounts - accordingly. An outstanding example was the Royal Enfield Continental GT, so much in demand that the factory could not meet orders. In the late 1960s, the whole scene began to change. A generation of cafe habituées were marrying and moving on to four wheels, even relatively small imported Japanese motorcycles were blowing British 650cc twins and for followers of fashion, choppers and low rider were becoming the 'in' thing. Ten years later, when the classic bike phenomenon took off, standard trim became the holy grail and it took time for surviving or newly-built cafe racers to gain respectability as authentic period machines. 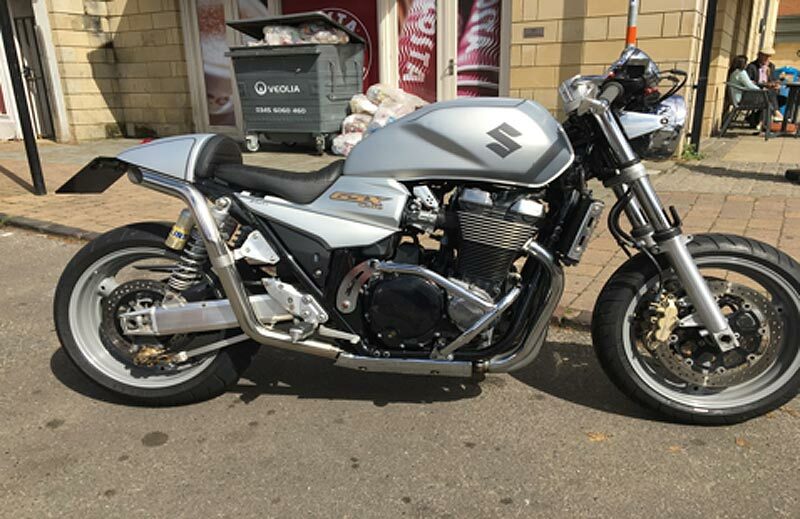 Meanwhile, America had discovered cafe racer style but the transatlantic version was altogether more polished and upmarket, relating more to café as in espresso or cafe latte than the traditional British caff. In recent years the cafe racer scene has recently exploded both in the UK and worldwide, encompassing machinery from the 1950s to the present day. While following a tradition and some basic guidelines of svelte lines and functionality, the cafe racer is, as ever, an expression of style, individuality and inventiveness. To see the ‘real deal’ Café Racer visit ACE CORNER where a fine selection of these unique machines are on show courtesy of The Ace Café.